Woah! No foolin', the Crocuses popped up with many more to come! 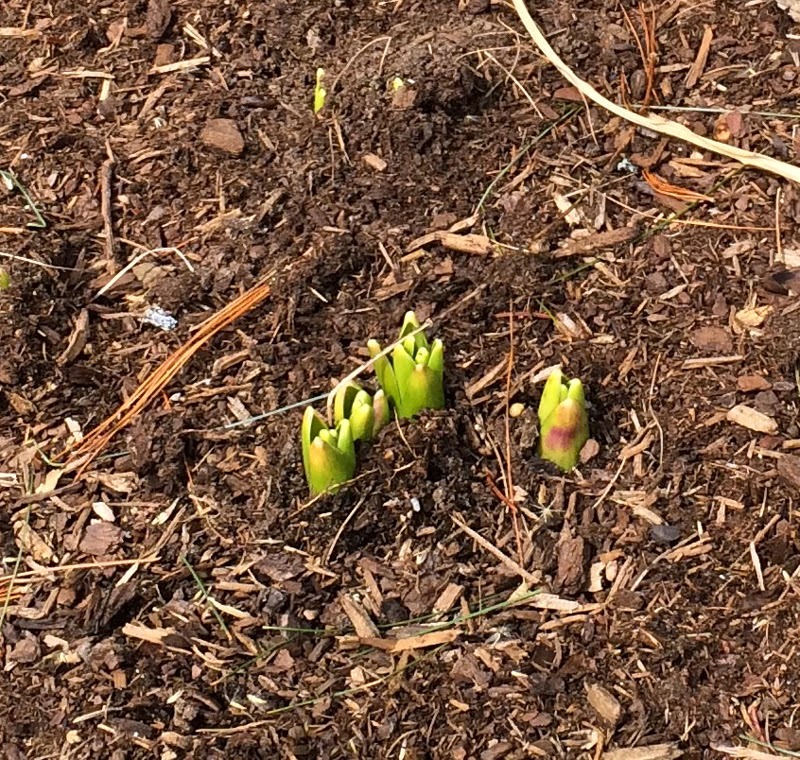 In the backyard garden Hyacinths are sprouting! Looking at the snowflakes falling on Friday reminded me of Minestrone Soup! It was the 1st day of Spring & I've been waiting for the piles of snow in our front yard to melt. 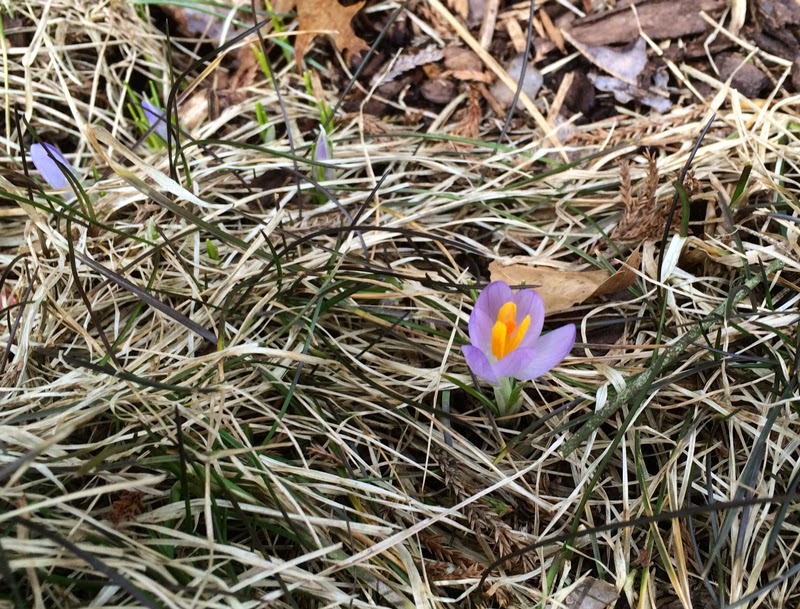 My Snow Crocuses are deep in the ground- waiting to pop up! Just sayin'! 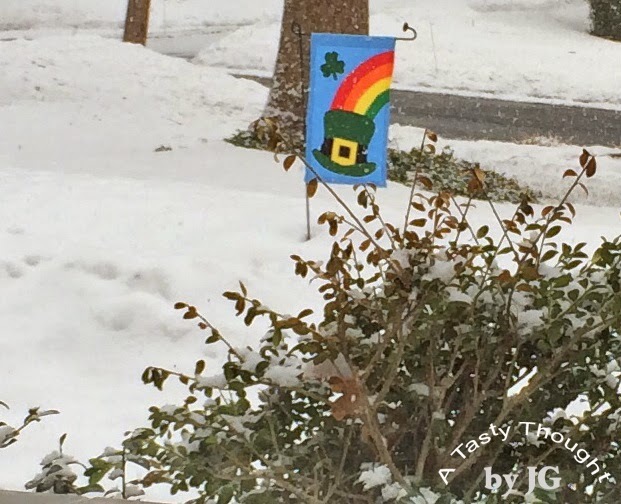 Snow meant chilly temps. Chilly temps called for a bowl of hot nutritious soup! What can be easier than locating the ingredients at hand & combining them? Usually, I add 1 Potato cut into chunks into the pot, but it was not to be found. Sometimes, you gotta' go with the flow & use what's on hand! This Minestrone Soup tasted so good! Yum! *1 washed/ cut into slices Zucchini- was in my fridge, so I added it into the pot. Drain Tomatoes & cut into quarters. Rinse Carrots in cold water & drain. Reduce heat & simmer for 1 hour. Carrots should be tender. Place in bowls & enjoy along with a slice of Rye Bread. Yes, there were extra portions! After this yummy soup cooled the portions were placed in Ziploc Freezer container(s) & then in our freezer. There will be other chilly days & a bowl of hot hearty soup will be defrosted for dinner! It's Irish Soda Bread time of year! 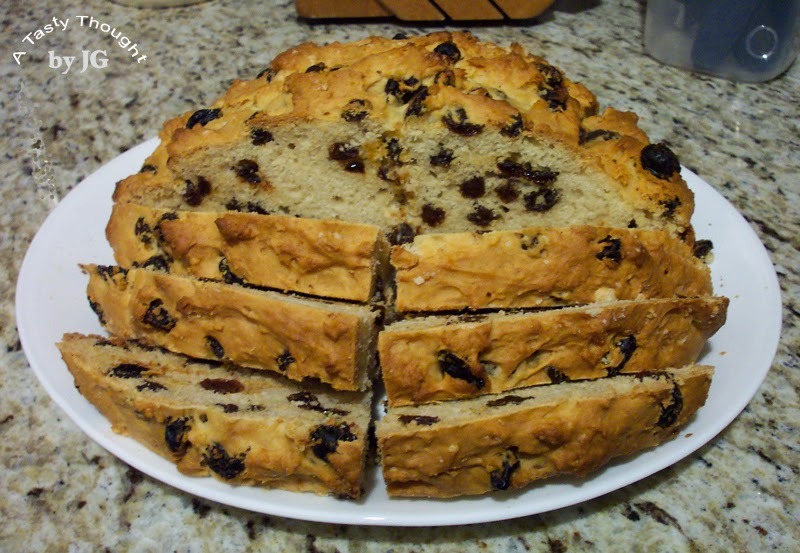 The bread enjoyed during St. Patrick's Day week that's loaded with Raisins! I make it using 1 stick of Butter & 1 cup of Buttermilk! 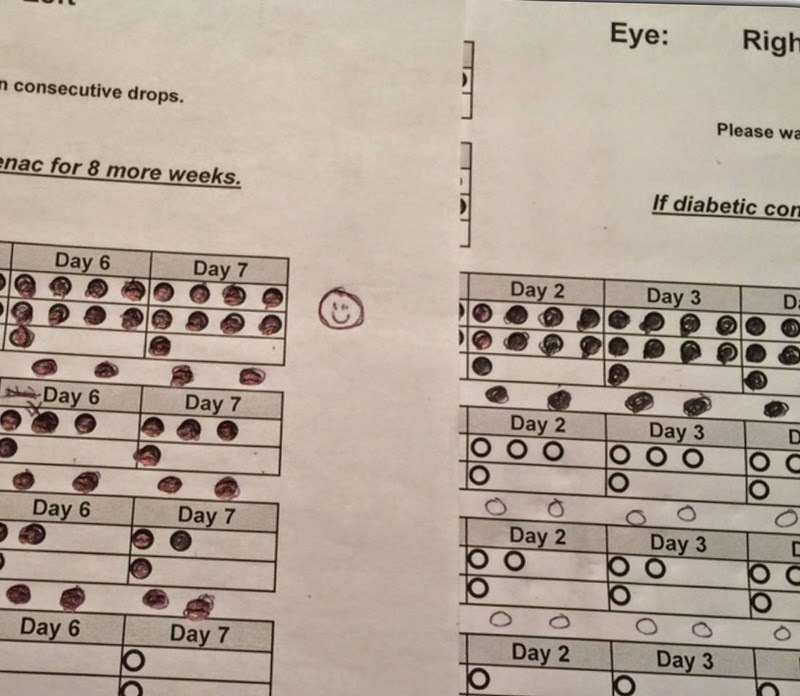 What a great treat and it's so easy! Really! Surprise your family this year if you never have before by baking this yummy bread! No need to purchase one. Another name for this tasty bread is Spotted Dog. Every year at this time I now share my very happy memory of me locating this recipe. In my fridge was an opened container of Buttermilk. I was googling for an Irish Soda Bread recipe & located a blog, Charli and Me written by Carol. Much to my happiness I saw what I had been searching for. 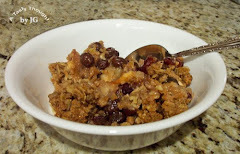 Originally the recipe is from the Will O'Glenn Irish Bed and Breakfast in Michigan with Mrs. Biddy Gahan sharing it. Carol then shared it on her blog. Every year at this time the low fat Buttermilk & unsalted Butter are in my fridge- waiting, along with a canister of Raisins in my pantry. One year I was working too quickly & melted the Butter in error. After it cooled, I added the melted/ cooled Butter to the dry ingredients and discovered that the dough was easier to work with. Now I always melt/ cool the Butter. I have a gas oven and my baking time is 10- 15 minutes more than the original recipe. The extra time is included in my recipe below. Before working with the dough by hand rub a little butter on your hands. The sticky dough will not stick to your hands. Irish Soda Bread ready for oven! 1 stick Butter - I use unsalted. Spray a 8" or 9 " Pyrex Pie Plate with PAM. 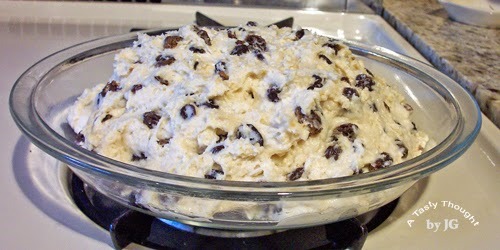 In a small bowl combine Raisins and boiling Water. Let sit while preparing dough. In larger bowl, combine Flour, Baking Soda, Baking Powder & Sugar. Add melted Butter to dry ingredients, stir in. Shape into a ball after placing dough into pie plate. Dough will be sticky. Lower oven to 375°F. Bake 25- 30 Minutes longer. Remove the bread from pie plate after using cake tester or toothpick to test for done and cool on rack. Wait at least 5 hours before cutting into slices and eating. After cutting the bread into slices, I then place it in two sealed Ziploc Bags. A half slice of Irish Soda Bread is a very tasty treat. Heated for a few seconds in the microwave is oh, so good, too! The extra slices do freeze well. It's always a great treat to find a package in the freezer the following week! The date was March 6, 1930! The place was Springfield, MA! The event: Clarence Birdseye began his test marketing program for frozen food! 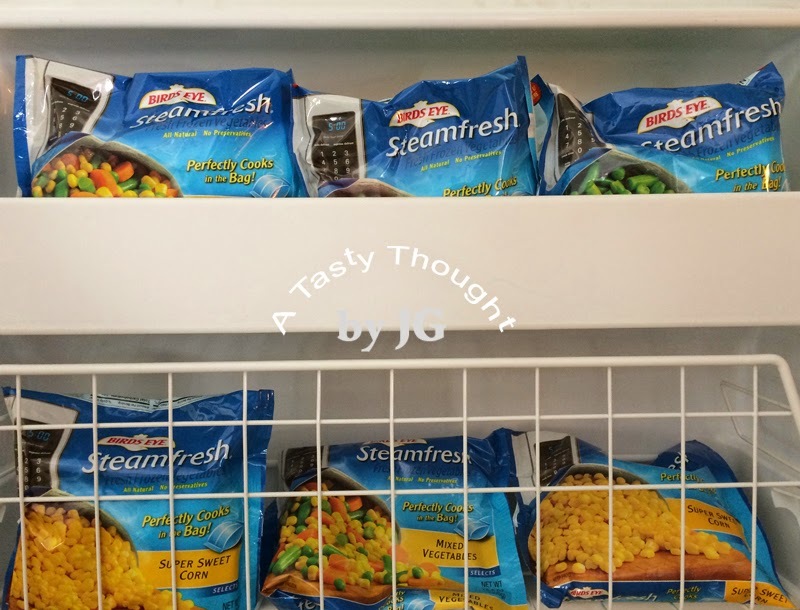 Read the interesting story about the history of Birdseye on Mass Moments by clicking on this link, "Clarence Birdseye Tests Frozen Food"! For so many of us eating nutritious veggies & dinners at home are possible because of Mr. Birdseye! Happy B'day Dr. Seuss Week! 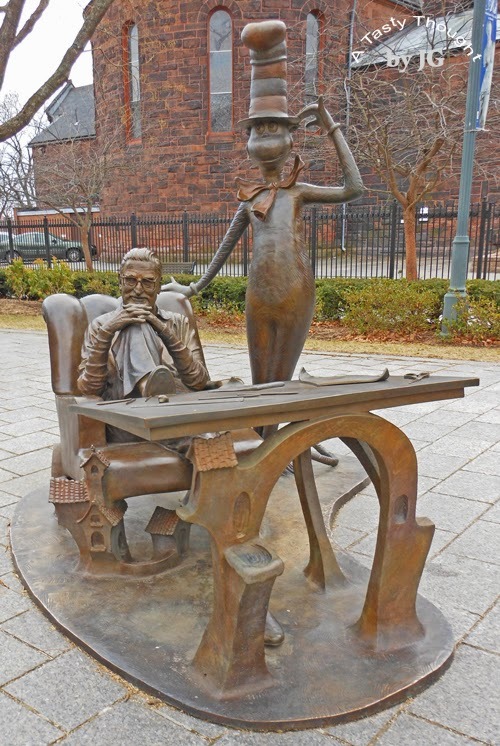 Dr. Seuss with "The Cat in the Hat"
Theodor Seuss Geisel! Does that name sound familiar? How about Dr. Seuss? You've read at least 1 or 2 of his books, right? He was born on March 2, 1904 in Springfield, MA and wrote so many wonderful stories for children (of all ages). The name Seuss was his mother's maiden name. His mom's parents had a bakery located in Springfield. 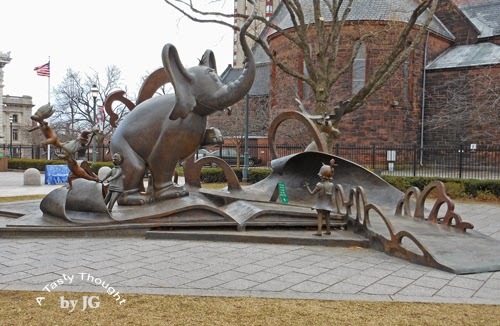 I've shared here on my blog that Dr. Seuss' inspiration for his stories came from growing up in the city of Springfield, MA! The motorcycles in And to Think I Saw It on Mulberry Street are red- the color of Indian Motorcycles that were invented & manufactured in Springfield. History is interesting! 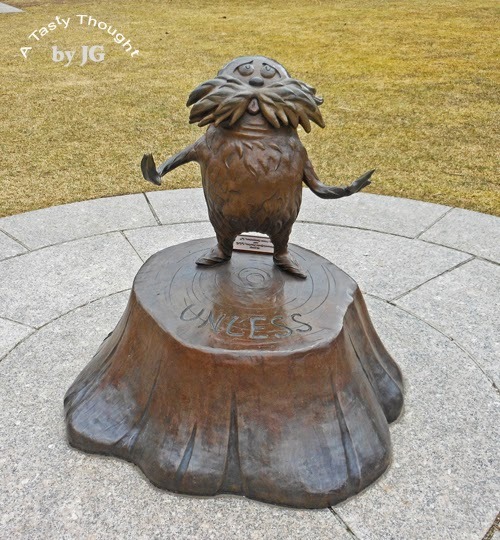 Learn a little more about Dr. Seuss by reading this interesting short biography. As you walk farther into the well manicured area, so many whimsical "friends" beckon for your attention. This is a great place for children of all ages! If you've never had the opportunity to stop in, do so! 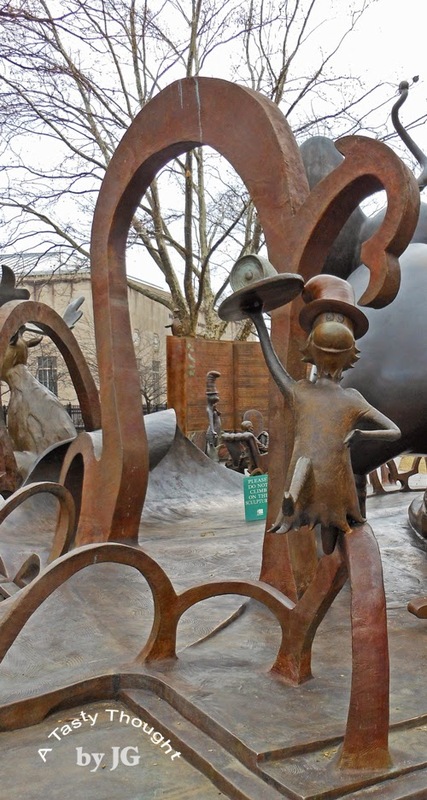 The Memorial Garden & the Springfield Museums are a treasure in Springfield, MA! My fave Dr. Seuss book will always be Green Eggs and Ham! What is yours? 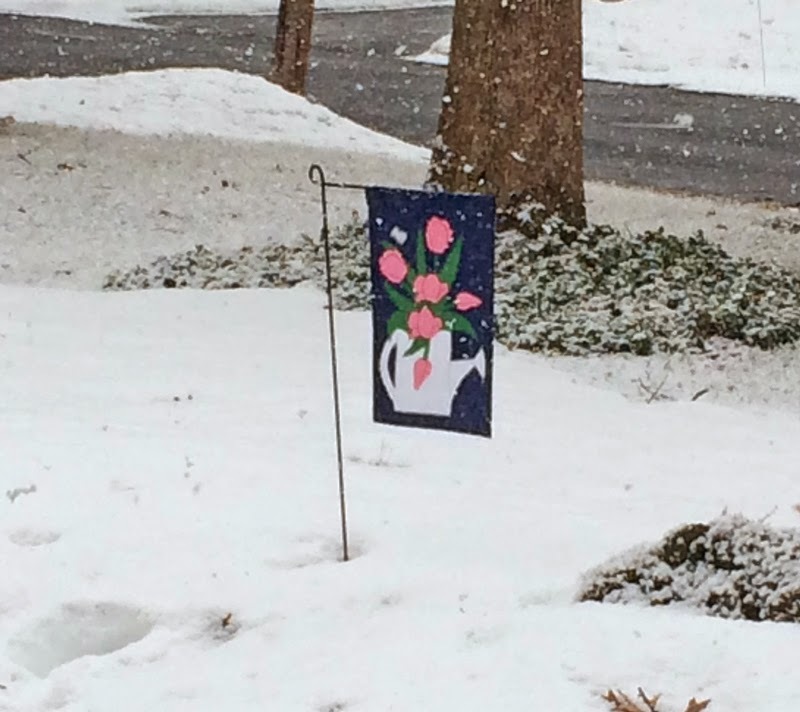 Winter here in Massachusetts has been harsh & quite trying at times. The Boston area has had a harder time than we in Western MA. I was watching the Boston College basketball game last week & was surprised when I heard one of the ACC commentators say that Boston always has these extreme weather conditions. Woah! He must have cut way too many Geography classes in high school. Now, a girl's gotta eat! Her DH, too! That brings the promotion in the kitchen. Jim's been cooking! My blog sure comes in handy to continue eating healthy foods that are easy to prep. So my friends, that's why there's been a lack of foodie posts lately. Simple is good! 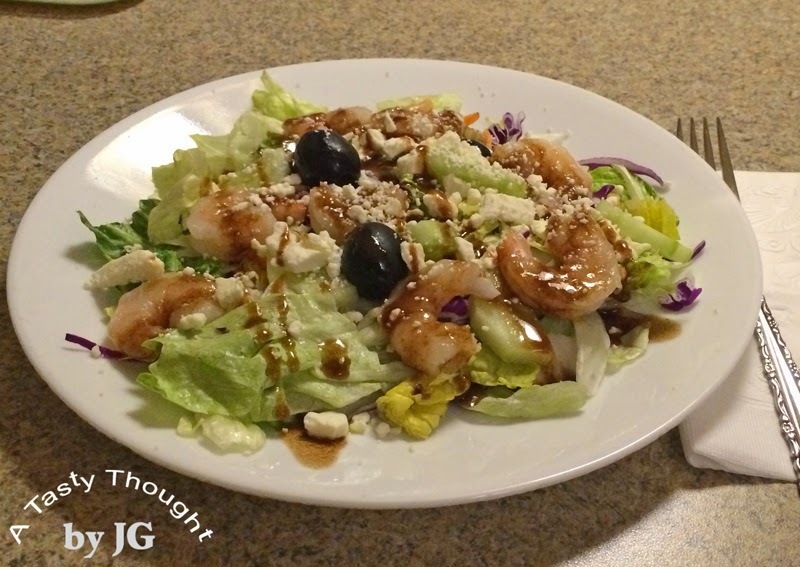 We enjoy dinner salads in the warm summer months, & this is one yummy salad that's drizzled with Raspberry Balsamic Vinaigrette. We're enjoying it this winter! Defrosting the cooked frozen medium sized shrimp in the microwave was a new adventure, too. Add 1 Tablespoon Raspberry Jam or Jelly. Shake, shake, shake & shake again. Repeat until jam/ jelly is dissolved. Store Vinaigrette in fridge. About 1/2 hour before using again, remove from fridge & sit on counter. Shake, shake, shake & shake again before using. This small batch is made often. It's delicious!